RFC 821, Simple Mail Transfer Protocol. RFC 822, Standard for the Format of ARPA Internet Text Messages. 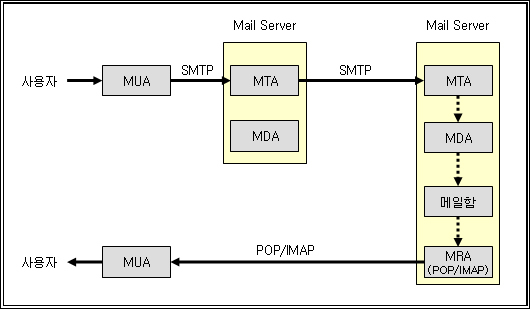 RFC 974, Mail Routing and the Domain System. RFC 1123, Requirements for Internet Hosts -- Application and Support. RFC 1423, Privacy Enhancement for Internet Electronic Mail: Part III: Algorithms, Modes, and Identifiers. RFC 1651, SMTP Service Extensions. RFC 1652, SMTP Service Extension for 8bit-MIMEtransport. RFC 1806, Content disposition. header. RFC 1854, SMTP Service Extension for Command Pipelining. RFC 1891, SMTP Service Extension for Delivery Status Notifications. RFC 1892, The Multipart/Report Content Type for the Reporting of Mail System Administrative Messages. RFC 1893, Enhanced mail system status codes. RFC 1894, An Extensible Message Format for Delivery Status Notifications. RFC 1939, Post Office Protocol - Version 3. RFC 1985, SMTP Service Extension for Remote Message Queue Starting (ETRN). RFC 1991, PGP Message Exchange Formats. RFC 2015, MIME Security with Pretty Good Privacy. (PGP). RFC 2045, MIME Internet message bodies. RFC 2046, MIME Media Types. RFC 2048, MIME Registration Procedures. RFC 2049, MIME Conformance Criteria. RFC 2142, Mailbox names for common services. RFC 2183, Content Disposition header. RFC 2821, Simple Mail Transfer Protocol. RFC 2822, Internet Message Format.